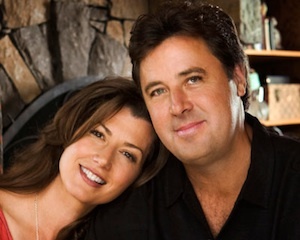 Vince Gill and Amy Grant have announced an eight-night residency for their annual Christmas at The Ryman this December. Two additional shows have been added to their 2015 dates, after all six shows sold out in 2014. The concerts for 2015 are scheduled for Dec. 2, 3, 9, 10, 16, 17, 22 and 23., Tickets go on sale Saturday, Feb. 14 and cost $125, $75, $55 and $35. Tickets will be available via ticketmaster.com, Ticketmaster outlets, ryman.com or by calling 800-745-3000. “These holiday tours have become our favorites,” Gill agrees.